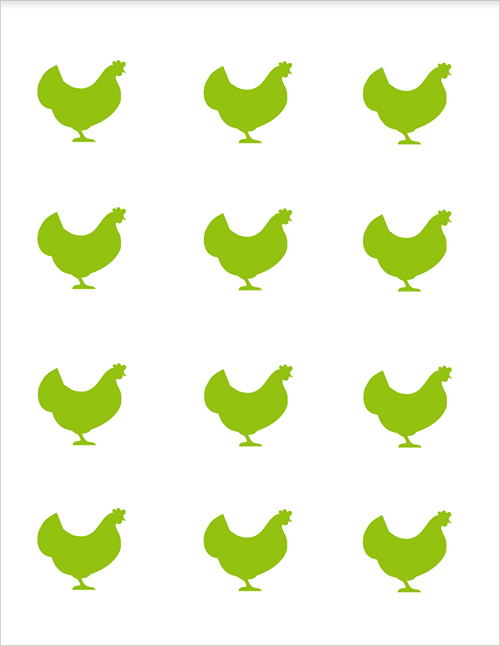 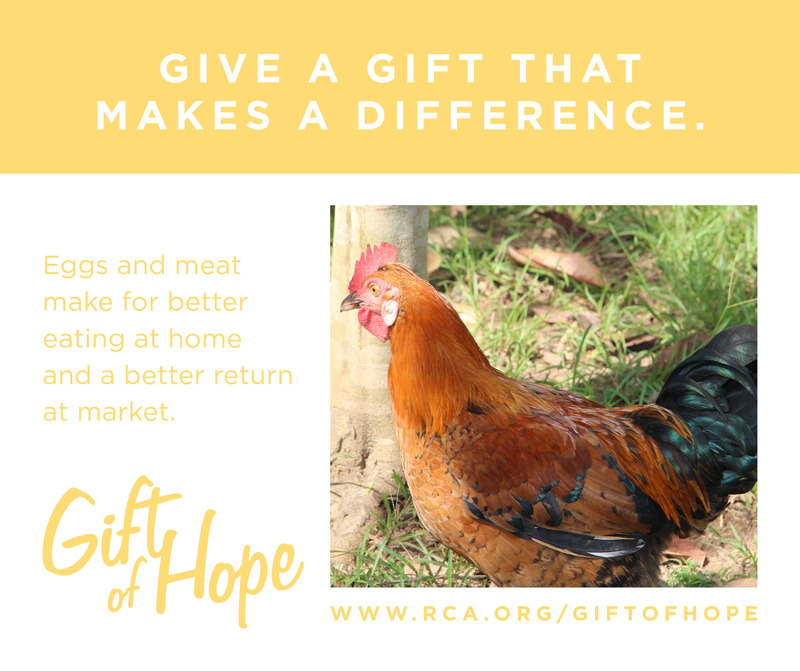 Give a gift that makes a difference. 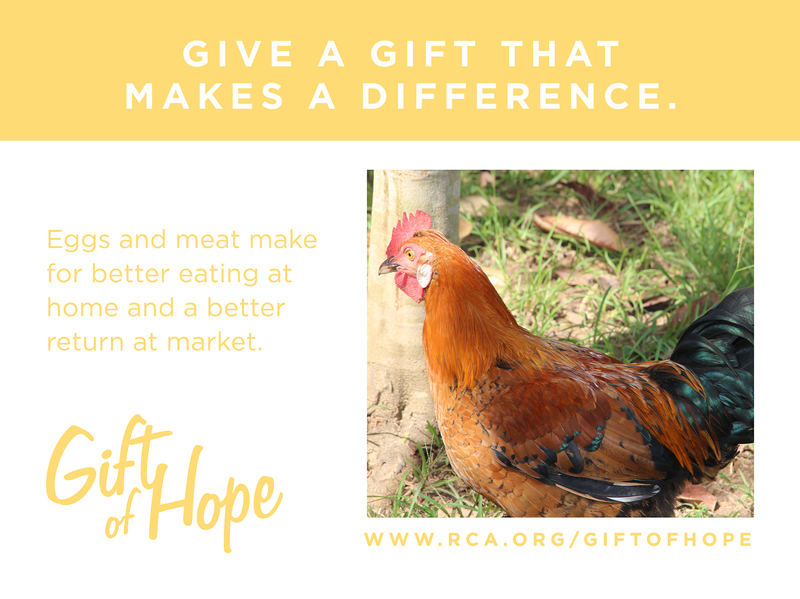 Gift of Hope is an opportunity to give a different kind of gift—things like a flock of chickens, education for a child, and access to clean water. 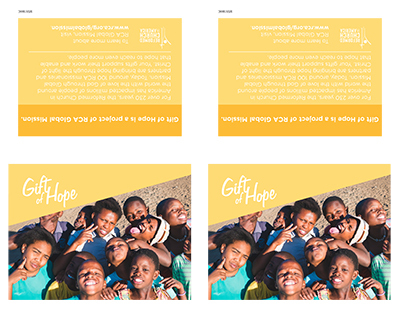 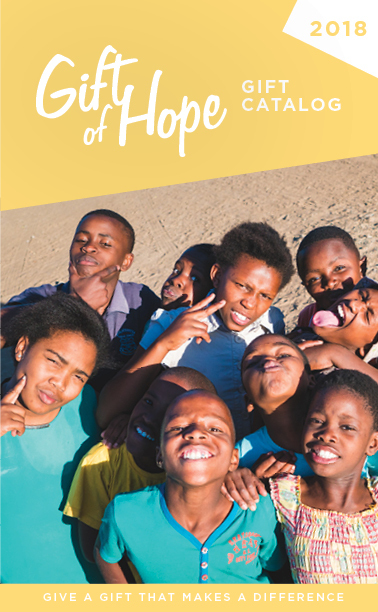 We invite you to provide hope through these tangible gifts to the people around the world who need it most. 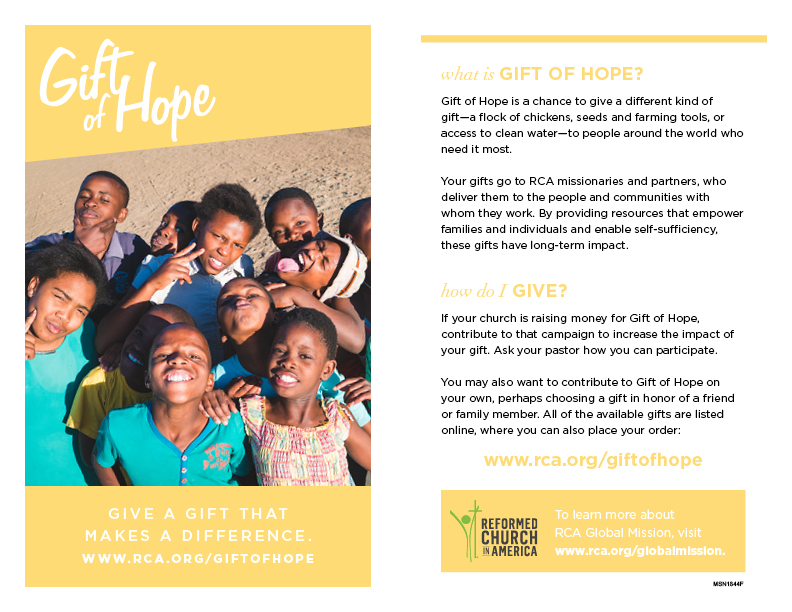 Your gifts go to RCA missionaries and partners, who deliver them to the people and communities with whom they work. 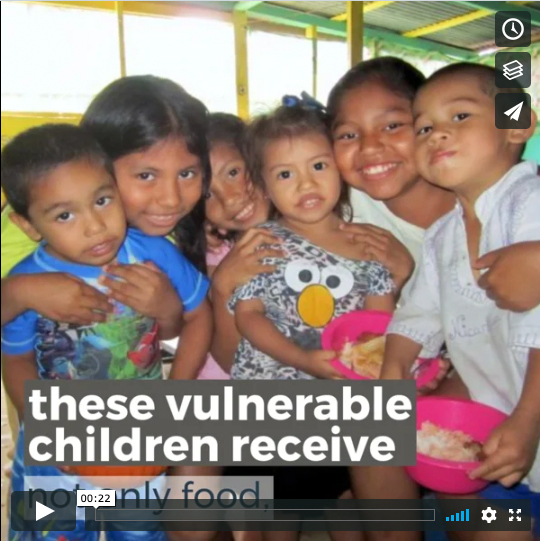 By providing resources that empower families and individuals, you help enable self-sufficiency and give a gift of long-term impact.